Whether you’re searching for a traditional home built in the 1960s or a brand new luxury home built last year, Vinings has something for you. From classic Colonials to mid-century ranches, Vinings has the variety that the discerning resident searches for. Prices range anywhere from $300k to $1 million plus, and real estate and development is getting hotter all the time. 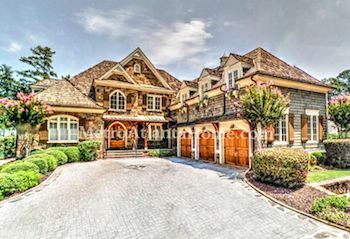 Vinings is bordered by I-285, the Chattahoochee River, and Northside Parkway. The Silver Comet Trail, 12.8 miles of former railroad trail, snakes through Vinings. The Cobb Energy Performing Arts Center is located just to the north and provides year-round entertainment. The Cobb Galleria Centre, as well as Cumberland Mall, make shopping and dining easy. With easy access to both I-75 and I-285, Vinings is a central location that allows you to travel throughout the city of Atlanta easily and quickly. The Chattahoochee River separates Vinings from the city of Atlanta, yet it’s easily one of the most desirable areas of the city. Originally called both Crossroads and Paces, Vinings was a part of the city from the 1840s onward. A main construction station when the railroad was being constructed from Chattanooga to Atlanta, it was named after William H. Vining and was officially recognized as a community in 1904. The Vinings Historic Preservation Society is the heartbeat of Vinings. Founded in 1993, the VHPS works to preserve not only the historic buildings and parks, but also the spirit of the community. 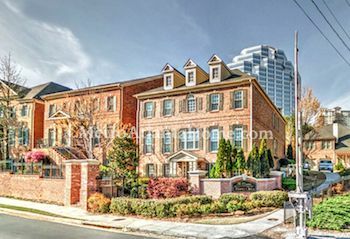 With new shops, restaurants, and attractions opening daily, Vinings is, and will stay, one of the most unique communities in the city of Atlanta.